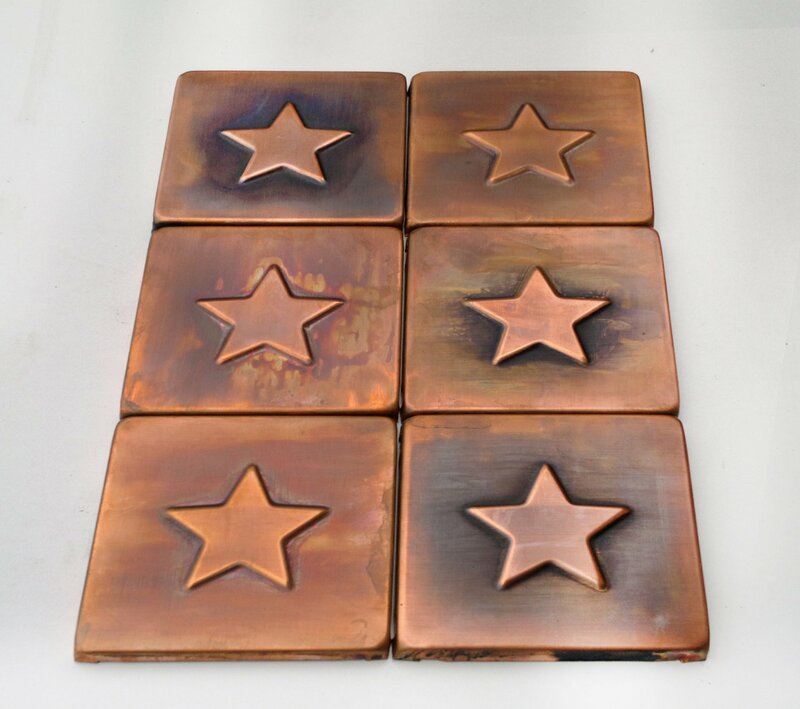 Every copper tile I make is created from copper sheet thickness 0.57mm ( .020") the same as for roof use. It is strong and durable. Yes they do. Thinset mortar is used, just as normal tile. Grouting is needed: wipe off all excess of grout before it get dry.